Knowing the size and location of driveways can help you track permitted driveways, track driveway culverts, and plan for expenses during road maintenance and reconstruction projects. Roadsoft's Driveway module allows users to identify and record the location of public and private driveways in your jurisdiction. 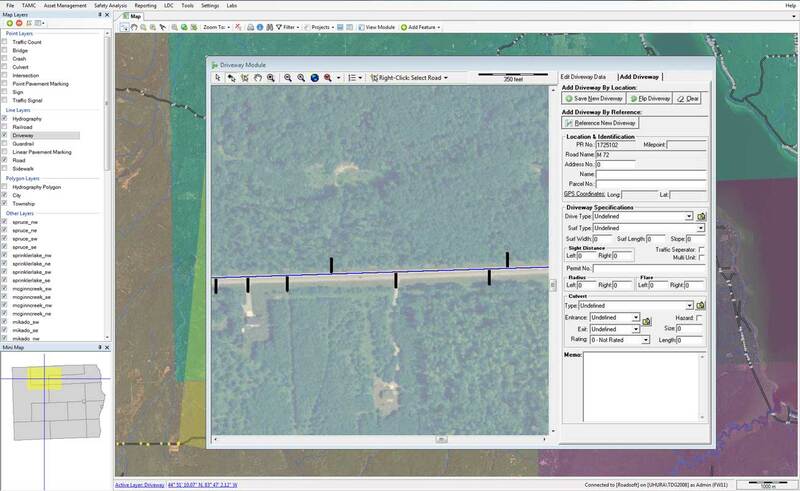 Aerial or satellite imagery can also be used to identify driveway locations prior to field work.